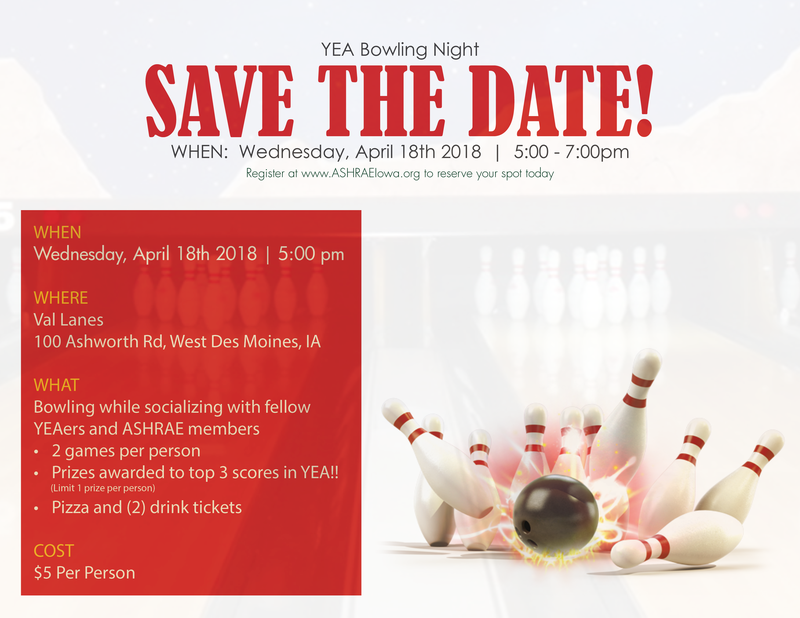 2-game singles bowling tournament with prizes for 1st, 2nd and 3rd in both YEA and Regular member divisions. Registration is open now – it will close on April 22nd at Noon so we can get lanes reserved. Please register if you are coming so we know how many lanes to reserve. Please register online if you are attending. This entry was posted in Chapter Meetings, Social Event on April 4, 2019 by Christopher Clausen. Registration is open now – it will close on April 16th so we can get lanes reserved. Please register if you are coming so we know how many lanes to reserve. This entry was posted in Chapter Meetings, Social Event on February 28, 2018 by Web Admin.